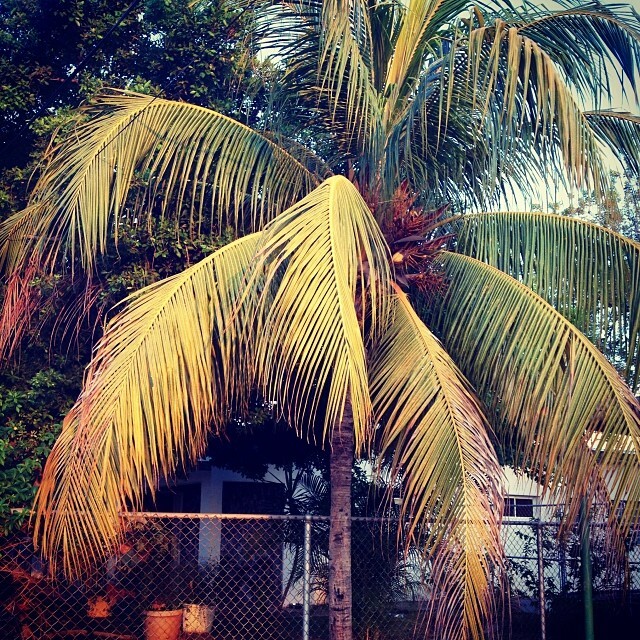 Coconut tree near my house. I labeled this number one because after living overseas for four years there are a lot of things that I miss now and then so I expect I will blog about it in the future. Clearly, I make do without a lot of things (especially while living in lovely Venezuela) and I really don’t mind most of the time. One thing that really bummed me out when I could never find it last year is coconut milk. I grew up entirely oblivious to coconut milk until I was about 15 and my high school Asian friends introduced me to a variety of dishes and drinks. I didn’t start cooking with it until I was living on my own when I was 19. Then I realized the joy of Asian markets where I could find coconut milk for 75 cents! I have been cooking with it ever since then! 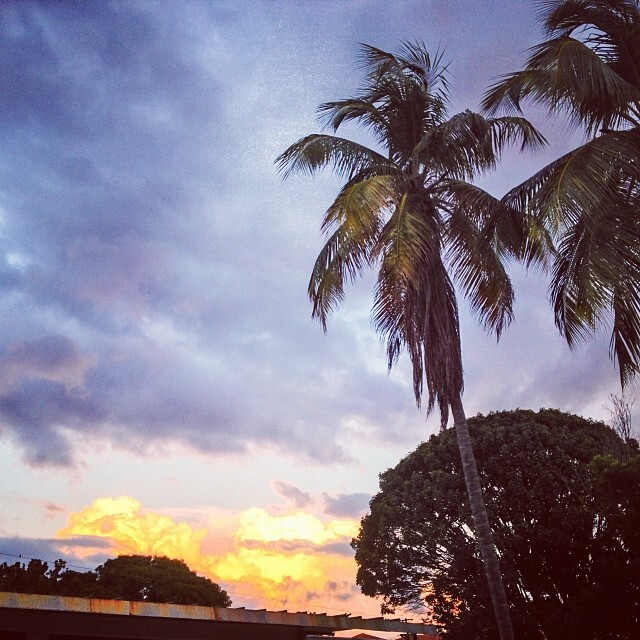 I was excited at the idea of living in a place where coconut trees were everywhere (including just outside my front door). I thought there must be coconut oil (only seen occasionally if I drive an hour to the big city), coconut milk (seen a few times a year in the local grocery stores), and shredded coconut (occasionally found in the baking isle) everywhere. Sadly, I could only find whole coconuts in grocery stores and fruit stands around town. One day, I was talking with a local at school about how I wanted to make some Thai curry but I didn’t have any coconut milk. She said, “why don’t you just make your own?” My jaw dropped. I was simply shocked. “People do this?” I asked. “Of course!” she said. Strain through a sieve. You might also use a nut milk bag to get out the most flavor and every last drop of milk, but I can’t find them here. I do this one or twice a month and freeze the coconut milk in small jars for later use. There is an affiliate link in this post so if you click on it I might get a few cents that I could use toward my student loans! 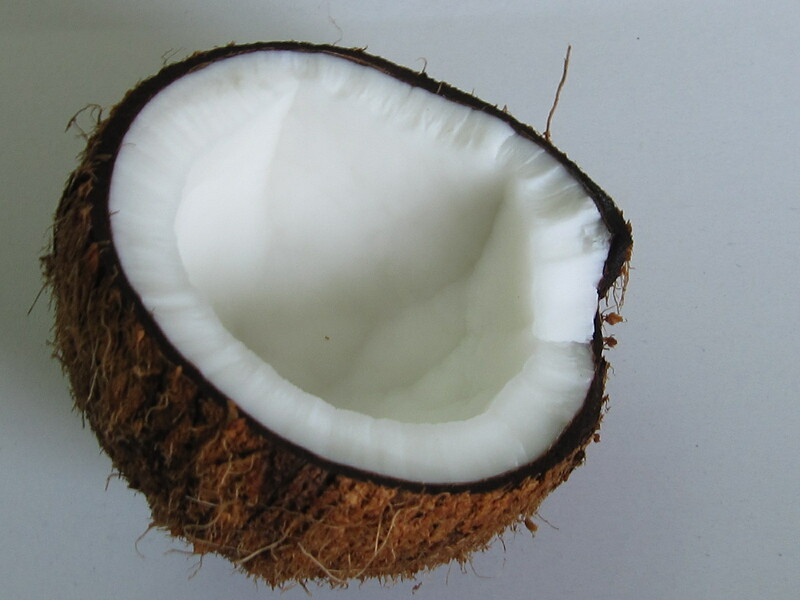 Have you ever made your own coconut milk? Do you have any great coconut recipes to share? You are welcome! I make it often enough that I think about getting these special knives to get it out with but then I realized that they look really scary! I love cooking for fun, and I fully appreciate nice sharp knives. It is the curved newness of this knife that bothers me. I still might get it while I’m home this summer because I use coconuts so often in my cooking. I also want a machete to more easily crack open the coconut, but the coconut knife might be the safer bet! But I know what you mean..
Great post.Now I know how to make a coconut milk on my own! I’m glad you liked it! I love coconut anything!